Boasting an idyllic beachfront location, Sheraton New Caledonia Deva Spa & Golf Resort offers an outdoor swimming pool and a fitness centre. A buffet and an à la carte restaurant are available on-site, as well as a bar. Guests enjoy free WiFi, and free bike hire. Sheraton New Caledonia Deva Resort is a 7-minute drive from both Poé Airport and Poé Beach. All rooms are air-conditioned and offer a flat-screen TV. It features a terrace and garden views. All rooms also include tea and coffee making facilities. The private bathrooms offer a bathtub, free toiletries and a bathrobe with slippers. 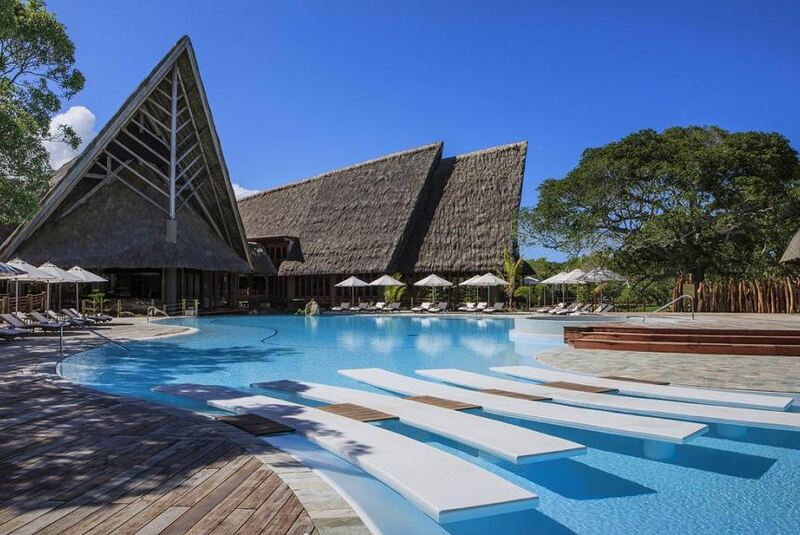 Sheraton New Caledonia Deva Spa & Golf Resort also features a tour desk and a kids club. It offers water sport facilities, snorkeling and canoeing.